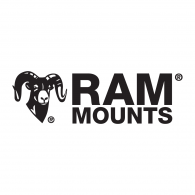 RAM is a company that manufactures mounting systems, protective cases, and docking stations for various products such as cell phones, tablets, GPS systems, mobile computers, and more. In the RFID industry, RAM’s mounting solutions are ideal for RFID antennas to create optimized read zones. For assistance on selecting which RAM product is right for you, contact us here.